The human body is a combination of different systems most of which are independent yet, working together as one. Each system has a specific functionality of its own. All the organs with a multitude of other supporting frameworks form a fully functioning body. Now, if applied to software systems, this is the concept of a microservice architecture. In technical terms, a microservice system allows development of single function modules. This trend of developing single function modules has increased agility, performance and cost efficiency for organizations both large and small while enabling continuous testing and early delivery. But, before we delve deeper into the fundamentals of microservice design let us have a look at its advantages. While monolithic architecture always left the developers looking for the ‘right tool for the job’, a microservice architecture offers coexistence of multiple technologies under one cover. Different decoupled services can be written in multiple programming languages. 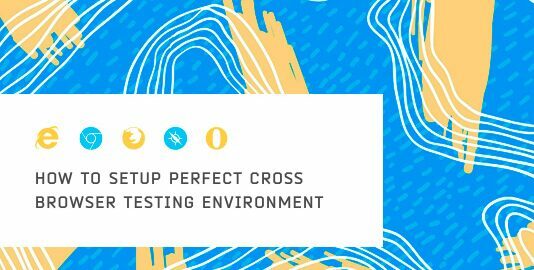 Not only does this enable developers to experiment but also scale their product by adding additional features and functionalities. Microservice architecture speeds up the entire process of creation. Unlike a single unit, teams can work simultaneously on multiple components of a software system. This, in addition to increasing productivity, makes it easier to locate specific components and focus on them. Malfunctioning of a single component will not affect the entire system. Instead, this also eases error location and maintenance. According to Martin Fowler, microservice architecture helps businesses create ‘products instead of projects’. In simpler terms, the use of microservice architecture allows teams to come together and create functionality for business rather than a simple code. The entire team comes together to contribute to different functionalities. These can further be used for different lines of business if applicable. In addition, it also creates an autonomous, cross-functional team. Now we know the advantages of a microservice architecture, but, how do we achieve the perfection? Are we aware of the microservice design principles? What are the best practices to design a microservice architecture? Let us answer these questions and look at some fundamentals to a successful microservice design. With the simultaneous implementation of development & deployment by different teams to establish or support a respectively unique functionality with a product, defining the scope of a microservice become s a very important task. While many people hold the concern of creating ‘too many’ tiny micro-services, it is usually more commonly seen that these microservices are overloaded. When we talk about the scope of a microservice, we are referring to the features of an independent software module. The ability of microservices to perform as a nearly-stateless system allows it to be developed independently. It thus becomes imperative to identify functionalities that a microservice will implement. This helps to understand what a microservice is responsible for? To realize the intended functionality that each microservice should serve. Not only to prevent overload but to serve different scenarios as well. For example, a piece of code is called multiple times in a monolithic setup, creating a microservice will make it easier to access and use. Minimizing the amount of code will only improve efficiency and avoid bloated services. The question comes as to how one can go about defining the scope of a microservice. Though there isn’t a well-defined set of rules to achieve this, there are a few sets of guidelines or best practices if you may to define a scope. Following are some of the steps that you can take to define your microservice. The first step is to identify the pieces of code that are replicated under various modules. How often do you see them repeat? and how much effort goes into getting them setup each time in different modules? If the answer to all of these are high, then the scope of the microservice would be to handle just the repeating pieces of code. Another step that you can take is to check if a module is not dependent on other modules or in simpler terms, check if it’s possible that a module is loosely coupled with the rest of the services. If so, then the scope of the microservice will be the scope of the entire module. Another very important metric to consider while defining the scope is to check if the features would be used with a heavy load. This would check if the microservice would have to be scaled up in the near future.If it does, then it’s a good idea to define the scalable bits as the scope of a microservice rather than combine it with other features. The main motive of any microservice is to have services independent of each other. This means one can edit, update or deploy a new service without hampering any other services present. This is possible if interdependence is low. A loosely coupled system is the one where one service knows too less or nothing about others. When breaking down a monolithic architecture into smaller services or components, it is important to combine similar functionalities. This combination of related logic into a single unit is known cohesion. The higher the cohesion, the better is the microservice architecture. A low cohesion would indicate too much communication between different services leading to a poor system performance. Following the fundamentals of microservice design, it is important for any service to be the unique source of identification for the rest of the system. Let us take an example to understand this scenario. After an order is placed on an e-commerce website, the user is provided with an order ID. This order ID once generated contains all the information regarding the order. As a microservice, the order ID is the only source for any information regarding the order service. So, if any other service seeks information regarding the order service, the order ID acts as the source of information rather than its actual attributes. Breaking down the monolithic design into multiple services means these service will coordinate and work together to form the system. But, how do these services communicate? Imagine using multiple technologies to create different services. How do they relate to each other? Well, the simple answer would be the use of an API (Application Programming Interface). The fundamental of microservice design is using the correct API. This is crucial to maintaining communication between the service and the client calls. Easy transition and execution are important for proper functioning. Another important thing to note while creating an API is the domain of the business. This definition of the domain will ease out the process of differentiating the functionality. There are several clients which are external to the system. These clients could be other applications or users. Whenever a business logic is called, it is handled by an adapter (a message gateway or web controller) which returns the request and makes changes to the database. Any data stored for a specific service should be made private to that specific service. This means any access to the data should be owned by the service. This data can be shared with any other service only through an API. This is very important to maintain limited access to data and avoid ‘service coupling’. Classification of data based on the users is important and can be achieved through the Command and Query Responsibility Segregation (CQRS). Once the APIs have been set and the system is up and running, traffic to different services will vary. The traffic is the calls sent to specific services by the client. In the real world scenario, a service may run slowly, thus, causing calls to take more time. Or a service may be flooded with calls. In both the cases, the performance will be affected even causing a software or hardware crash. This high traffic demand needs management. A specific way of calling and being called is the answer to a smooth flow of traffic. The services should be able to terminate any such instances which cause delay and affect the performance. This can also be achieved using a process known as ‘auto-scaling’ which includes constant tracking of services with prompt action whenever required. In some cases, a ‘circuit breaker pattern’ is important to supply whatever incomplete information is available in case of a broken call or an unresponsive service. Microservices designed independently should be able to function in its own accord. The automation would enable self-deployment and function without the need for any intervention. This process enables the services to be cloud-native in nature and the ability to be deployed in any environment. But to achieve this, it is very important to have a DevOps team constantly working towards the evolution of the services. Accessing database tables to fetch data can be a lengthy process. It can take up time and energy. While designing a microservice, the main motive should revolve around the business function rather than the database and its working. To ensure this, even with data entries running into millions, a microservice design should have only a couple of tables. In addition to minimum numbers, focus around the business is key. Imagine breaking down a monolithic architecture into a microservice design. This needs a lot of time and resources. It is not easy to monitor all the changes made with the help of the traditional tools. The insertion of data layers and caching increases performance but makes it difficult to monitor the entire process. Hence, for designing a microservice architecture, it is important to establish a process for actively monitoring the storage of the data in a central location. This will help reflect the frequent changes without affecting the performance of the system. In a common scenario, the microservice monitoring tools will monitor individual services and later combine the data by storing it in a centralized location. This is a necessary step while following micro-services design principles. Realizing the crucial part played by an API in a successful microservice architecture. 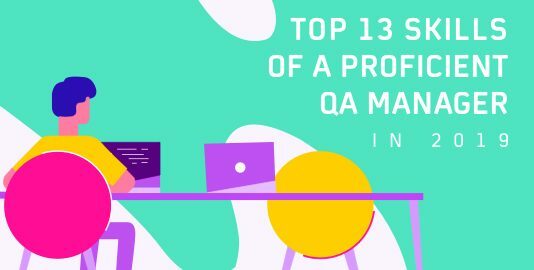 One must also have a process to constantly monitor the API performance. API performance monitoring is crucial to any microservice architecture in order to make sure the functionality stays up to the mark in terms of speed, responsiveness and overall performance of the product. While microservices are the best way to tone down a monolithic structure. Yet, it comes with its own set of drawbacks. But before getting to any conclusion let’s have a look at some of these. With the growth of the application and its database, there is an expansion in the code base as well. With the code expanding for every microservice present, it overloads the development environment with every application that is loaded. This can cause a major delay in productivity. Development and deployment of single function microservices is not an easy task. Use of multiple technologies and creating APIs to centralize the system is a challenge. This calls for an experienced DevOps team. 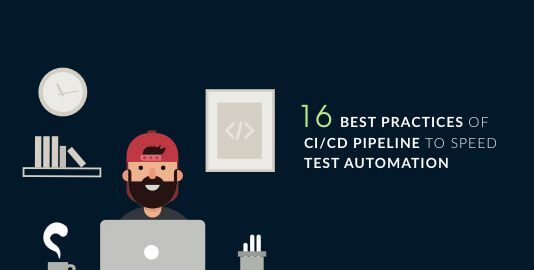 Procuring such an experienced DevOps team is very crucial to maintain the complexities of a microservice based application. With multiple components working together, it is important for them to communicate with each other at some level. This communication will lead to an increased network usage. This demands a high-speed reliable network connection. In addition, expenses increase to run these applications. All services run individually mounting up the costs of operation. Testing the application can be challenging since there are individual components. Compared to a monolithic application, microservices take longer to test and are more complex in case of any errors. At times, delays can be caused due to testing which eventually affects the entire application. Security is of paramount importance when it comes to web applications. With microservices, achieving this is difficult. When there are clusters of independent modules, each module needs to adhere to the authentication and authorization norms defined for the entire system. Apart from that, each module might talk to other modules and tracking the flow of data becomes very difficult. Additional measures such as API gateways with load balancing is required to ensure the behaviour is consistent. These additional steps cause overhead on each of the microservice. As microservices are independent components, very often, each microservice will have a technology stack that best suits its needs. For example, a machine learning module might use the python stack while the metering service might use the Java stack and the UI service might use the MEAN stack. This leads to complexity as the resource pools and the skills required to manage and build newer features will be very high. Microservices run independently and they require independent containers or resources to run them. Each project might have a lot of microservices working together and it would require a much higher investment to set up all the clusters that include the microservices, the security containers, load balancers, API gateways, etc. After having read the fundamentals of microservice design, it is clear that there are a certain set of best practices which need to be followed. 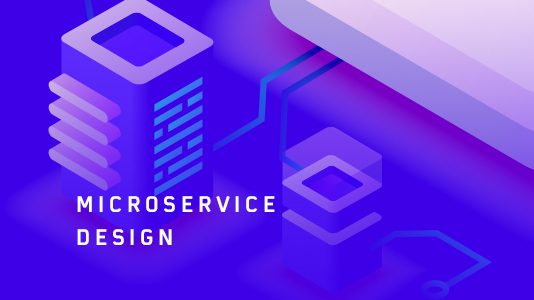 But, we also observe how the microservice design principles ease the process of creating an application by breaking down the monolithic architecture. But, at the same time, there are certain challenges which need to be overcome when adapting a microservice architecture. These complexities affect the operational processes but in the long term, overcoming these challenges can lead to an optimized and more efficient application. In addition, it overcomes the delays and flaws while increasing flexibility and performance. Keeping the above mentioned in mind it is safe to say that microservice architecture is necessary for a successful software system. 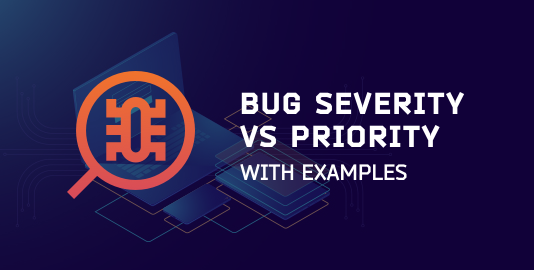 Many enterprises including names like PayPal, Twitter, LambdaTest and Netflix have backed up the reliability of microservice architecture for deploying a more scalable, functional and robust software.